Ivy Coach was recently discussed on an episode of CNBC’s “Power Lunch” and we were written about in an article for CNBC by Barbara Booth entitled “How much would you pay to get your kid in Harvard?“. As referenced on the CNBC show, there are over 8,000 college counselors who are registered with certain organizations such as NACAC (the Founder of Ivy Coach is a member in good standing) plus upwards of 15,000 folks who dabble in college counseling. And that’s a low estimate. But Ivy Coach is of course a leader in the college counseling marketplace and a leader in helping students gain admission to the highly selective colleges of their dreams. So we got a mention. Hey, we’re a business. This isn’t a college essay. We’re allowed to brag! After all, Bev’s husband and Brian’s dad, Ed, plays CNBC nonstop through the morning, afternoon, and night and his entire email inbox is filled with alerts from Jim Kramer. So we thought it was very funny when we heard Ivy Coach on the world’s leading business channel. 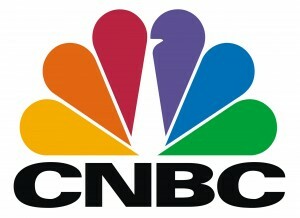 Ivy Coach was featured on CNBC’s “Power Lunch” show today. The segment was of course about the hefty fees many private college counselors charge and Ivy Coach is cited as commanding among the heftiest. Ok, “among the” is using the term loosely. We understand that we are expensive. We’ll own it. We understand that not everyone can afford our services. We wish we could help everyone. In fact, each and every year we work with select members of our military on a pro bono basis. And, as it’s the day after a holiday in which we honor our veterans for their dutiful service, we are committed to doubling down this coming year on helping veterans of our air force, army, navy, marines, merchant marines, and coast guard gain admission to the colleges of their dreams after their patriotic service to our country. For parents and students who balk at our fees, that’s fine. Find someone else. They won’t be as good. Read their testimonials. They won’t have real names (who is John, Parent of Harvard Sophomore anyway?). They won’t be cited as experts in the press. They won’t have our reputation in the private college counseling business. They won’t help your children brainstorm and craft powerful admissions essays that sway admissions officers to want to root for them. They won’t fix that major mistake on an application that will derail your son’s candidacy. But we imagine you won’t have to pay as much. Just as you wouldn’t go to a cheap — but bad — dentist, going to a cheap — but bad — private college counselor isn’t worth your time and it won’t help your child gain admission to the college of his or her dreams.